In the last few years, Roman Reigns has been removed 5 times form the universe of WWE. But every time he has overcome the situation and has done top result instead of being rejected. Whatever be the circumstances, he has always been one of the top-selling WWE superstars. Let’s find out some all five magical moments of Regin when he was thrown out by the whole WWE world. 1- Wins in Royal Rumble: In the year 2015, when Roman Reign wins the Royal Rumble he was rejected by the whole WWE world. Do you know why? Because he was close to losing the title but won due to his cousin “The Rock” who came out and saved him and helped him to get the title. People believed that Reign won only due to The Rock and it was actually Daniel Bryan who deserved the win and so people rejected Roman Reigns even if he won the title. 2- Win again Undertaker at Wrestlemania 33: Roman Reigns once own against the Great Undertaker. But by that time Undertaker became old and people felt that it was not the best match of Undertaker and critics described the match as a squash against the old man Undertaker. So, after Reigns win the title the whole WWE fraternity rejected him and did not allow him to speak. 3- Great rivalry with Braun Strowman: Roman Reign defeated Braun Strowman, one of the strongest man in the world. But it was a deadly match between Roman Reign and Braun Strowman. Roman Reign struck Strowman in such a way that forced people to think that Reign tried to murder Strowman. And this has to lead the WWE world to reject Reign to stay out of action for a month. 4- Match against The Miz: Roman Reign defeated The Miz and became the Grand Slam winner against The Miz in the intercontinental championship. But fan enjoyed The Miz more than Roman Reign and demanded Roman Reign to drop his belt at the 25th anniversary of Raw. 5- War at Wrestlemania: In the recent war at Wrestlemania-34 2017-2018 season, Roman Reign defeated Lesnar. But even after huge loss WWE fraternity demanded to have another UFC fight against Lensar. This is how even after stunning win Roman Reigns was rejected 5 times in his career by the whole WWE universe. It is not like that he does not have a fan following, in fact, Roman Reigns has a huge fan and he is also one of the top-selling WWE superstars. Why is Nakamura VS AJ Styles the best decision for WM smackdown? But still he walks out there are some huge boos among the people and this is what makes him unique from other WWE superstar. 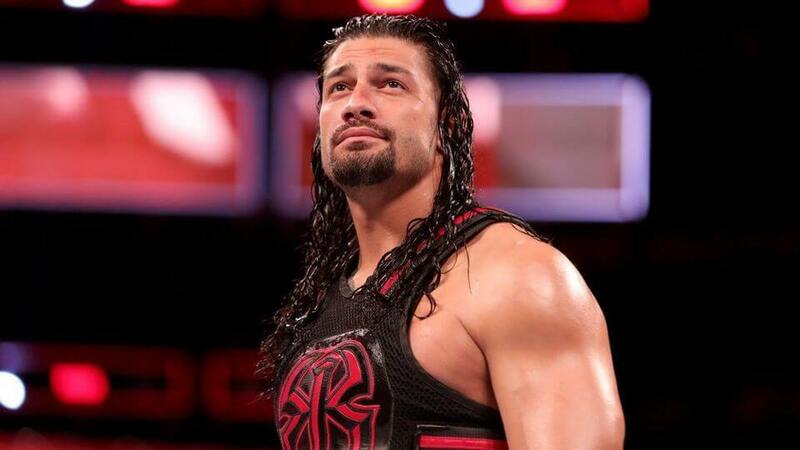 At least, he is able to generate a strong response from the fans of WWE and for Roman Reigns, it does not matter, and he hardly cares about it – whether he receives positive or negative feedback from fans it hardly matters as long as he has a triumphant moment. Previous article Hollywood Actor Morgan Freeman in the News in a Bad Way! Who is the Richest WWE Superstar?